Twenty rare disease patient groups have been chosen to develop natural history studies with the assistance of the National Organization for Rare Disorders (NORD) supported in part by a cooperative agreement with the U.S. Food and Drug Administration (FDA). 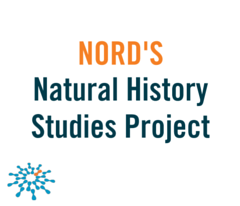 NORD, the leading, independent nonprofit organization committed to helping people and families affected by rare diseases, today announced the 20 patient groups that will be given the opportunity to develop a natural history study, funded in part by the cooperative agreement, through NORD’s Natural History Study research platform. The 20 patient groups are: Hereditary Neuropathy Foundation, Organic Acidemia Association, XLH Network, Inc., CCHS Family Network, Pitt Hopkins Research Foundation, The OMSLife Foundation, Platelet Disorder Support Association, Global Foundation for Peroxisomal Disorders, APS Type 1 Foundation, Scleroderma Research Foundation, Galactosemia Foundation, Desmoid Tumor Research Foundation, International Pemphigus & Pemphigoid, The Morgan Leary Vaughan Fund, Adult Polyglucosan Body Disease (APBD) Research, Bridge the Gap-SYNGAP Education and Research Foundation, United Leukodystrophy Foundation, AMENSupport (American Multiple Endocrine Neoplasia Support), Lipoprotein(a) Foundation, and Worldwide Syringomyelia & Chiari Task Force. The groups were determined by a competitive application process reviewed by an internal committee. All diseases represented have diagnostic challenges, limited or no research, and cover a broad range of symptoms and medical specialties, including neurology, cardiovascular, musculoskeletal, immunology and endocrinology. Selected organizations are all members of NORD. Natural history studies are longitudinal studies that aim to fill research gaps to help medical researchers better understand how diseases progress over time. They can yield vital information that is essential to clinical trial design, such as biomarkers, demographics, important clinical symptoms, genetic and environmental variables, and patient perspectives. Rare diseases have posed unique challenges to researchers and drug developers due to small patient populations, lack of data, clinical endpoints that are often unclear, and enrollment and retention challenges for clinical trials. There are nearly 7,000 rare diseases and disorders, 95 percent of which have no treatment. Tags: Adult Polyglucosan Body Disease (APBD) Research, AMENSupport, APS Type 1 Foundation, Bridge the Gap-SYNGAP Education and Research Foundation, CCHS Family Network, Desmoid Tumor Research Foundation, FDA, Galactosemia Foundation, Global Foundation for Peroxisomal Disorders, Hereditary Neuropathy Foundation, Lipoprotein(a) Foundation, Organic Acidemia Association, Peter L. Saltonstall, Pitt Hopkins Research Foundation, Platelet Disorder Support Association, Scleroderma Research Foundation, The Morgan Leary Vaughan Fund, The OMSLife Foundation, United Leukodystrophy Foundation, Worldwide Syringomyelia & Chiari Task Force, X International Pemphigus & Pemphigoid Foundation, XLH Network Inc.